This year, Joey Yap's Feng Shui and Astrology Seminar in Kuala Lumpur, Malaysia was held at the Malaysia International Trade and Exhibition Centre (MITEC) instead of KL Convention Centre like the previous years. I attended the English session on Saturday, and the turn-out was incredible, with about 8,000 people in attendance - making it the biggest Chinese metaphysics event in the world! You can get a more detailed report of his Global Outlook for 2019 from the Thriver's Guide so there is really no need for me to blog about it. Remember to download the Thriver's Guide! 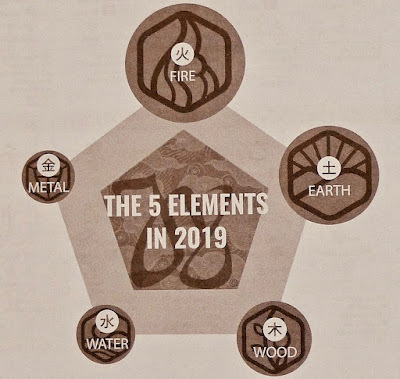 Globally, the 5 elements from strongest to weakest are Fire, Earth, Water, Wood and Metal. However, in Malaysia, the order is slightly different with Earth being the strongest, followed by Water, Fire, Wood and Metal (the weakest). 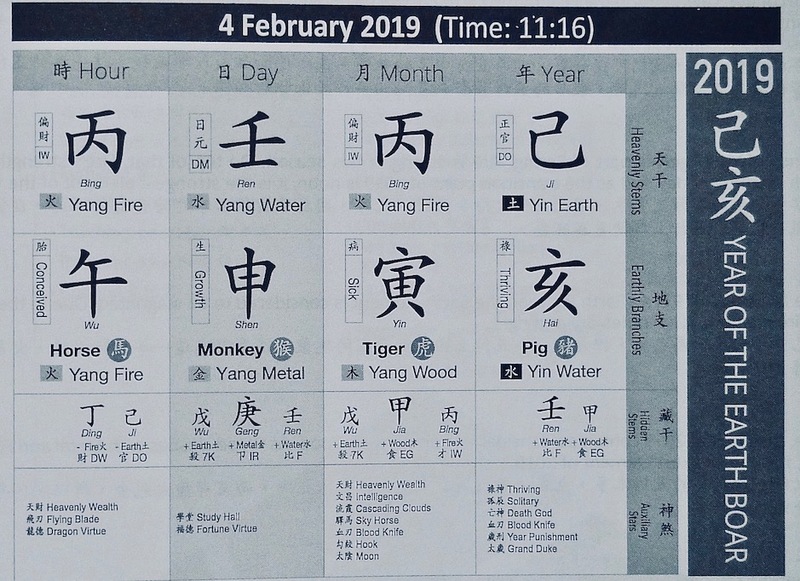 If you have all the top three elements in the Heavenly Stems (top row) of your Personal Bazi Chart, you will very likely receive Dumb Money this year. Dumb money is money you received without much effort and hard work from your part. If you have all the top three elements in the Earthly Branches (bottom row) of your Personal Bazi Chart, then you will be getting Smart Money this year. Smart money is money you obtain from hard work. Joey Yap termed these 4 animal signs as The Four Kings in 2019. In other words, they have the most auspicious stars and are the best animals to have in your Personal Bazi Chart for this year. The Four Kings are Monkey, Horse, Tiger and Rabbit. I assume you already know what are the four animal signs in your Personal Bazi Chart. If you don't, remember to get your Bazi Chart HERE. Wealth related stars can be found in Monkey, Rabbit, Goat, Snake, Tiger and Rat. If Monkey is in your Year Pillar, try to mix with people who can increase your value. If there are too many Rabbits in your Personal Bazi Chart, you can attain wealth but only if you work really hard. However if you don't have any of these animals in your chart, you can try to activate the North West. Relationship related stars are found in the Dog, Dragon, Tiger and Rat. Career related stars are found in Rabbit, Snake and Boar. Helpful People stars are found in Rat, Monkey, Tiger and Snake. Problem Solving stars are found in Horse, Boar and Dog. Property Luck related stars are found in Horse (good for buying properties), Monkey (good for selling properties) and Rat. If fame is what you are looking for, then make sure you have the Rabbit and/or the Boar in your chart. Academic related stars are found in Rooster, Goat, Tiger, Ox and Dog. Joey Yap mentioned that the North sector this year is the best location for Star 4 (academic) in this Period of 8. So make sure you spend more time in the North sector for academic pursuits. It's also a good sector to find solutions and manifest outcomes. Forgetfulness related stars are found in the Tiger and Rat this year. People with the Goat, Tiger and Ox would probably feel more stressful this year. And people with the Rooster, Goat, Tiger and Monkey will be more prone to accidents, especially Rooster. So try not to do anything too risky (like bungee jumping) but stay safe this year. 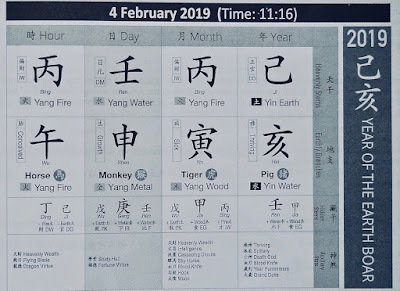 For detailed explanation on the 12 animal signs and their auxiliary stars and their effects on you, check out the videos by Joey Yap HERE. In Part 2, I will share the activation dates and time for wealth, health, academic, relationship and more. Stay tuned.